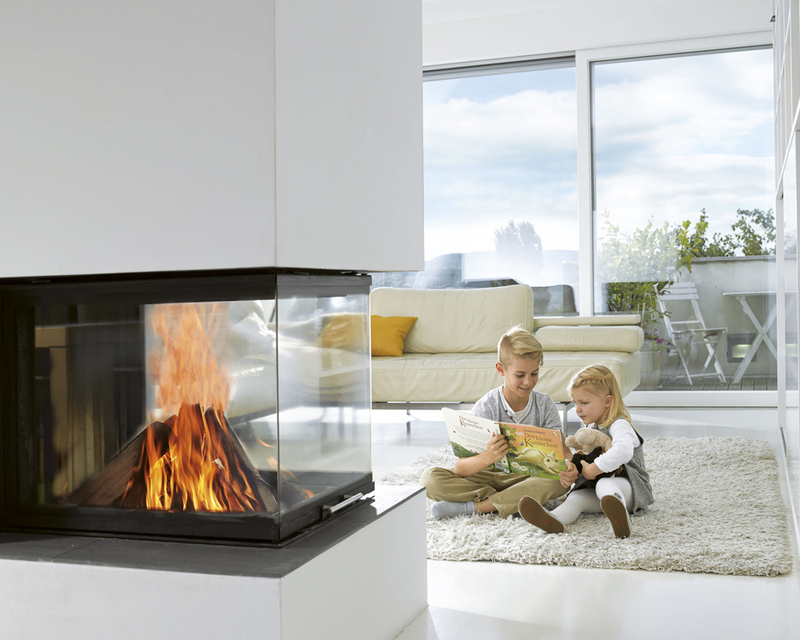 In order to meet the new European Standards for Chimney products, Schiedel has sourced the finest raw materials, blended in a unique formula to give a unique combination of temperature resistance and strength. 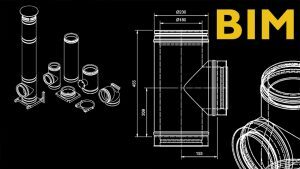 Schiedel have invested in the latest production technology and are proud to introduce a full range of high performance rebated ceramic flue liners and accessories, which are fully CE tested and CPR approved. Suitable for all fuels – gas, oil, solid fuels and biomass fuels. Wide range of accessories to suit numerous installations. Suitable for high temperature and low temperature applications. Full compliance to the latest CE standards and Construction Products Regulations (CPR). Continuous straight flue liners ensure a consistency in backfill insulation. Cleaning and Inspection liners as standard products. Construction begins by providing a suitable foundation and constructional hearth in accordance with local Building Regulations and site requirements. Form the fire opening onto the constructional hearth. 100mm of brick or blockwork must be built around the sides and back of the firechest to comply with Building Regulations. Apply Schiedel Rapid HT Cement onto a suitably formed fire gather. Position the flue liner onto the prefabricated gather, female rebate facing upwards. Arrows on each flue liner indicate the directional flow of flue gases. Continue to apply Schiedel Rapid HT Cement to each flue liner, cleaning any access material from the joints. A suitable cast-in-situ concrete slab lintel must be provided above the fireplace recess. Alternatively you could use suitable pre stressed lintels, for this method a support plate is required under the support block. 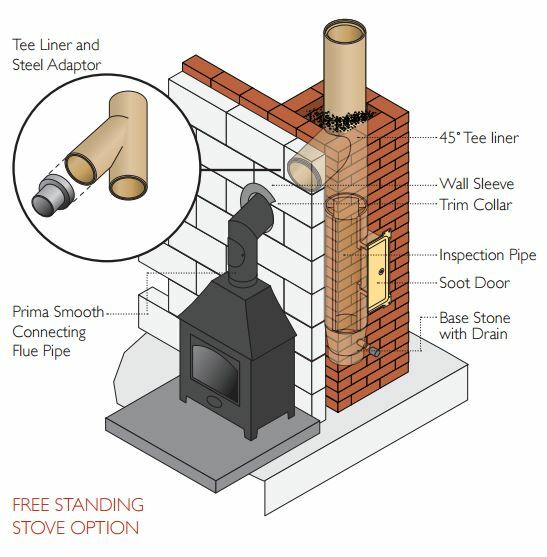 It is recommended to have a minimum of 600mm length of flue pipe before connecting to the chimney. The support block is bedded onto the slab lintel using weak mix mortar. A stainless steel adaptor or a section of Prima Smooth connecting flue pipe is used to connect from the support block to the stove flue pipe. This adaptor is pushed up onto the support block spigot (fibre rope should be used to create a seal). liner indicate the directional flow of flue gases. Continue to apply Schiedel Rapid HT Cement to each flue liner, cleaning any access material from the joints. The support block is bedded onto the slab lintel using weak mix mortar. A stainless steel adaptor or a section of Prima Smooth connecting flue pipe is used to connect from the support block to the stove flue pipe. This adaptor is pushed up onto the support block spigot (fibre rope should be used to create a seal). A soot door must be provided below the flue pipe entry to allow for inspection and removal of soot and debris. A suitable wall sleeve is to be used to seal the cavity wall. 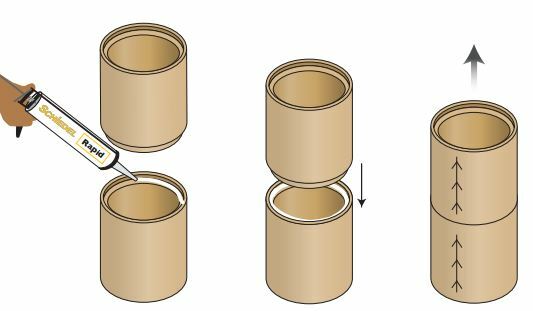 Any combustible insulation within the wall must be kept away from the single skin connecting flue pipe by at least 1.5 x its diameter. (Example: diameter 150mm x 1.5 = 225mm distance). The flue pipe is a push fit over the spigot on the adaptor. Seal off the gap between the flue pipe and wall sleeve with fire proof rope and closing plate. 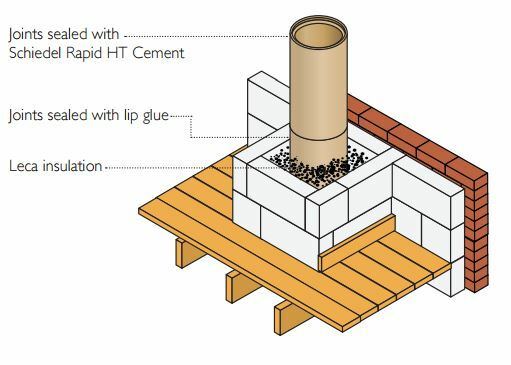 Apply Schiedel HT Cement onto the male rebate of the flue liner. 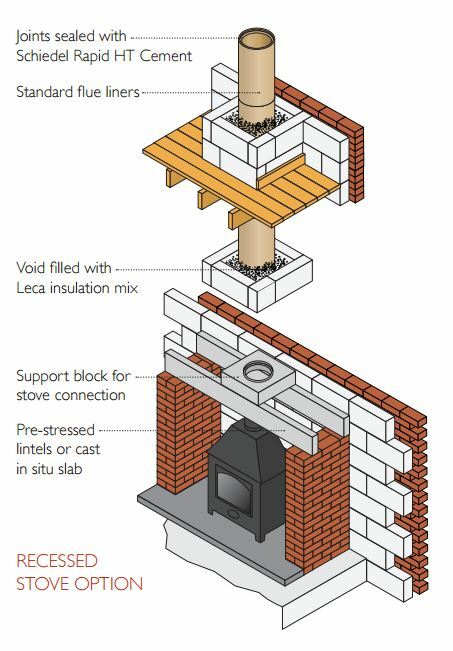 Position the flue liner on a suitably formed fire gather or support block with the female rebate facing upwards. Arrows on each flue liner indicate the directional flow of flue gases. Continue to apply high temperature cement to each flue liner, cleaning any access material from the joints. Clad the flue liners with a minimum of 100mm suitable masonry. 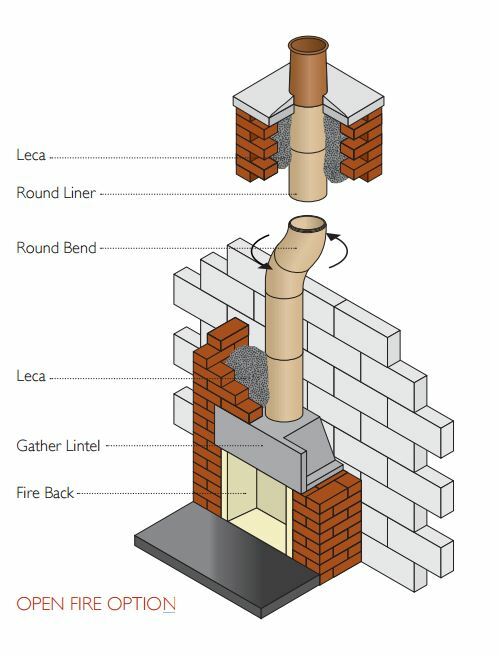 A minimum of 15mm Leca insulation must be installed between the flue liners and masonry. Mix 20 parts Leca to 1 Part cement and a small amount of water. Ensure it is well mixed before using.